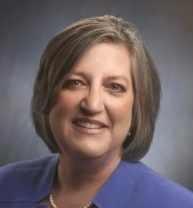 WEST CHESTER—Chester County Commissioner Kathi Cozzone has announced she is seeking re-election as Commissioner. “I am honored the citizens of Chester County have put their trust in me over the last 11 years and would be privileged to continue to serve the county,” she said. In addition to her role as County Commissioner, Cozzone will serve as the President of the County Commissioners Association of Pennsylvania in 2019, through which she will work to solve problems across the Commonwealth. Cozzone has led efforts in Chester County to reduce the number of mentally ill inmates in county jail in conjunction with the National Association of Counties’ Stepping Up initiative. And as an active member of both the CCAP Behavioral Health Taskforce and Courts and Corrections committee, Cozzone has shared Chester County best practices across the Commonwealth, inspiring other counties to initiate similar programs….